We're busy... but not too busy for you. We are now taking appointments in 2018 for 2017 tax returns. There's still some time to call for your appointment. There were many changes concerning your taxes and you can bet 2017 has many more. Come on in for a warm, inviting, yet no-nonsense approach to handling your tax refund concerns. I am totally immeresed in social media nowadays. I find it to be the best way to get important information out to you in the quickest and most convenient fashion. 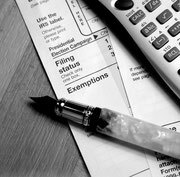 Keep track with the information I have personally found to be imperative in dealing with your taxes. Also, follow my twitter (to the left) for tips and up-to-date tidbits regarding taxes. Feel free to call anytime to schedule a meeting. What seperates Magaña & Associates from the regular tax accounting firm? Two words: We care. We truly do care. That's why it's important for us to come to a solution for your situation. It goes against our policy to adhere to the get-you-in-get-you-out philosophy that so many companies abide by. Give us a call to see exactly what we mean. See you soon! Well, Magaña & Associates sounds trustworthy, but really what are the benefits? Let's put it this way, we understand there's plenty of other tax solutions out there. We want you to understand the importance of filing your returns with us outweighs the convenience of computer software. Did you know Turbotax tries to upsell you more benefits and software in order to get a better return? It's your money and the software is trapping you to get your money. Did you know the huge firms like H&R Block and Jackson Hewitt charge you for every form you file and fill out? They also take a huge chunk from your refund. We know there are plenty of other tax services out there. We value your time and respect your budget. 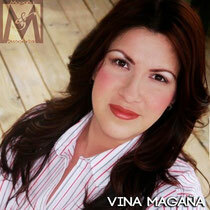 Thanks for considering Magaña & Associates to provide quality tax services. Call 951.278.1972 for your appointment today!